Padre has been involved in the development and implementation of numerous phases of the Calleguas Regional Salinity Management Project. Padre’s involvement began with the preparation a Program Environmental Impact Report (EIR) and Environmental Assessment (EA) for the 32 mile-long wastewater pipeline, extending from Simi Valley to Oxnard, on behalf of the Calleguas Municipal Water District and Bureau of Reclamation. The purpose of the project is to dispose of tertiary treated wastewater and byproducts of advanced treatment (brine) that cannot be discharged to local streams due to a chloride Total Maximum Daily Load (TMDL) limits. Primary issues assessed in the document included water quality (ocean and freshwater), water quantity (loss of current wastewater discharge to stream), biological resources, noise, air quality, cultural resources and agriculture. This project was complex and controversial requiring substantial stakeholder involvement. Stakeholders include various water districts, municipalities, regulatory agencies (e.g., Regional Water Quality Control Board), public interest organizations (e.g., Environmental Defense Center) and the general public. Therefore, Padre actively participated in numerous meetings directly associated with the project as well as the related Calleguas Creek Watershed Chloride Total Maximum Daily Load (TMDL) meetings along with the stakeholders. 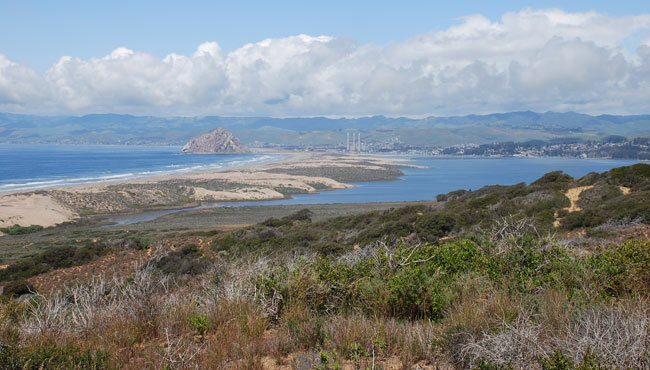 Since the completion of the original Program EIR, Padre has continued to support the subsequent CEQA/NEPA compliance requirements for the project, as well as obtaining project component specific permits. A Supplemental EIR/EA was required to address a change in the location and configuration of the project ocean outfall. Padre supported the siting and refinement of an ocean outfall for the project including the environmental review of several outfall alternatives. This effort entailed providing support to the engineering design team to conduct the necessary site investigations for the proposed outfall. Upon completion of the Supplemental EIR/EA, Padre provided permit acquisition services for the District which included a Coastal Development Permit, State Tidelands lease, Sections 404 and 401 permits and NPDES Permit. Construction of the projects ocean outfall was completed in July 2010. 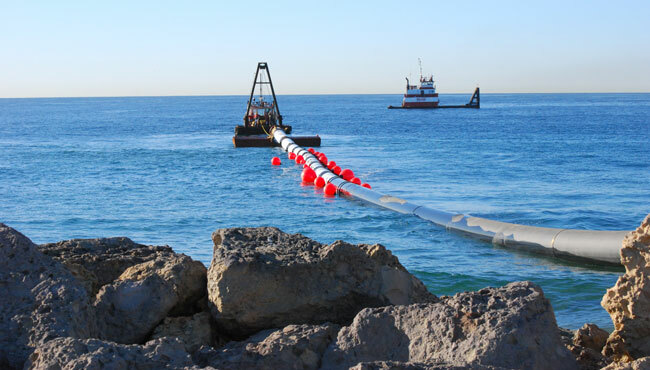 In order to minimize environmental impacts, the project included an approximately 3,200 foot horizontal directional drill from the Port Hueneme public beach to an offshore transition pit. During installation, Padre provided both onshore and offshore mitigation compliance monitoring services including frac-out monitoring, marine mammal monitoring and archaeological monitoring. Padre was the prime contractor for the preparation of an EIR for the installation, operation, and abandonment of the California offshore and inland segment of a fiber optic cable from Southeast Asia to the U.S. The CEQA documentation involved the review of applicant-provided data reports on the seafloor and onshore habitats, marine and terrestrial biological cultural resources, and equipment/vessel emissions that Padre staff subsequently incorporated into the EIR. Specific issues of concern focused on the potential impacts of the placement of the offshore portion of the buried fiber optic cable on commercial fishing, hardbottom biota, and cultural resources. Onshore concerns centered on vehicle access to existing buried conduits across streams and other sensitive terrestrial habitats. An extensive air quality modeling effort, including the analysis of greenhouse gas emissions, was completed for the project and mitigations to reduce air, water, and land-related impacts were included in a Mitigation Monitoring and Reporting Plan (MMRP). Seasonal restrictions to reduce potential effects on listed species, including marine mammals and nesting raptors, were included in the plan as was an onboard monitoring requirement for fisheries and marine wildlife effects. In addition to preparing the EIR and MMRP, Padre was the State’s mitigation monitor, which entailed biologists, cultural resource specialists, and other technical experts to be on-site during the offshore cable laying/burial operations and for the documentation of onshore impacts from vehicle access and conduit excavation. Padre marine scientists were also responsible for reviewing applicant-provided videotapes of the offshore cable laying operations and for the reporting of effects of those operations on seafloor habitats along the 60 mile-long offshore cable corridor. Client: Beach Erosion Authority for Clean Oceans and Nourishment (BEACON) through Noble Consultants, Inc.
Padre was subcontracted to Noble Consultants, Inc. to provide environmental consulting services related to the implementation of BEACON’s Coastal Regional Sediment Management Regional Plan (CRSMP). Following the completion of the draft CRSMP by Noble Consultants Inc., Padre completed a constraints analysis on the proposed sites for 16 capital projects that were identified in that plan. The capital projects are located both onshore and offshore, and consists of sand management, dredging, sand deposition and grading, and the placement of offshore sand retention structures. 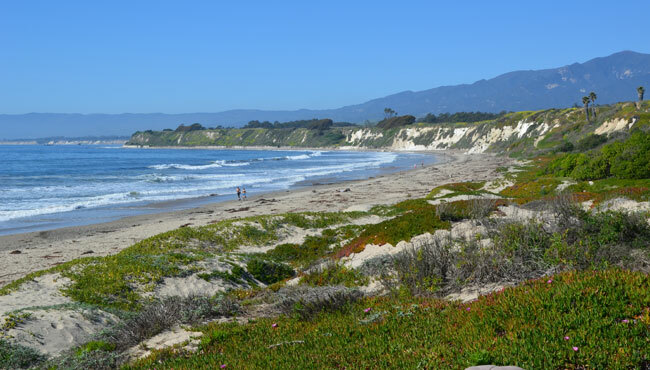 Padre prepared an Initial Study, and draft and final Programmatic Focused EIR documents, in accordance with CEQA requirements, evaluating a subset of the capital projects from the final CRSMP plus a model sand management ordinance. As the lead agency, BEACON will use the programmatic document to tier project-specific subsequent or supplemental CEQA documents once the design of each project is finalized. Padre prepared an Environmental Impact Report for the Santa Rosa Creek Flood Mitigation Project, located in the West Village of Cambria. The EIR evaluated environmental impacts associated with six project alternatives including flood bypass structures, supplemental berms, bridge replacement, floodwater detention basins, gravity-pressure storm drains, and auxiliary pumping plants. Primary issues analyzed in the EIR included biological resources, noise, air quality, cultural resources, and recreation. 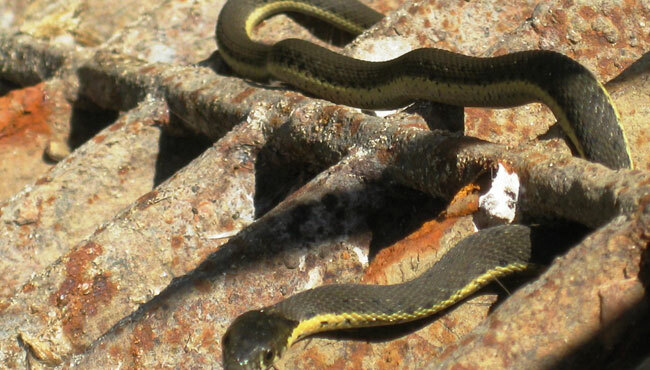 In addition to preparing the EIR, Padre staff conducted jurisdictional wetland delineations and surveys for California red-legged frog, two-striped garter snake, and southwestern pond turtle. The final EIR was certified by the Board of Supervisors in fall of 2001, and construction was completed in 2004. Padre’s technical studies were used by the County to secure state and federal permits for the project.